He asked a retired Army Master Sergeant if her job was difficult because she was a woman and she had to boss around a bunch of people. Alex, that sounds like every woman’s dream job… seriously. Unsurprisingly, she said she was good at it. Lisa Beth Davis took Trebek’s question in stride. “That must be really tough for a woman because a master sergeant is giving orders most of the time. How was it for you?” he innocently asked. The former Army Sergeant responded she was pretty bossy because she is the oldest in her family. Then Alex drops the dagger. “You’re the oldest in your family. Do you have brothers?” The sheer audacity Alex. I just can’t even. How dare you expose your white male privilege. “I know how to tell people what to do,” she said. “So, you learned how to do it? Good for you,” Trebek replied. She said she only had sisters, which undercuts Alex’s entire point, obviously. His point was that it must be difficult being a woman bossing around other men because men are oppressors, or something. Unfortunately for Davis, she came in second and would not be returning for the next round. I should really just leave the outrage up to the professionals… they are so good at it. It’s too hard to parody them anymore. It takes real talent to be this offended over nothing. Other’s tweeted in defense of the wily, wannabe erudite. He stated the obvious: in a male-dominated profession (such as the military) it's often difficult for a woman to be in a leadership position. If anything, his comment was a dig at men. “Alex Trebek really got zero chill,” one social media user wrote. Deep. “Um, Alex Trebek just said it must have been hard for a woman to be an Army Master Sergeant because she was a female…really?? Why not ask her what she accomplished in her position. Do better,” another person tweeted. This person needs to get a life and stop taking everything so personally. 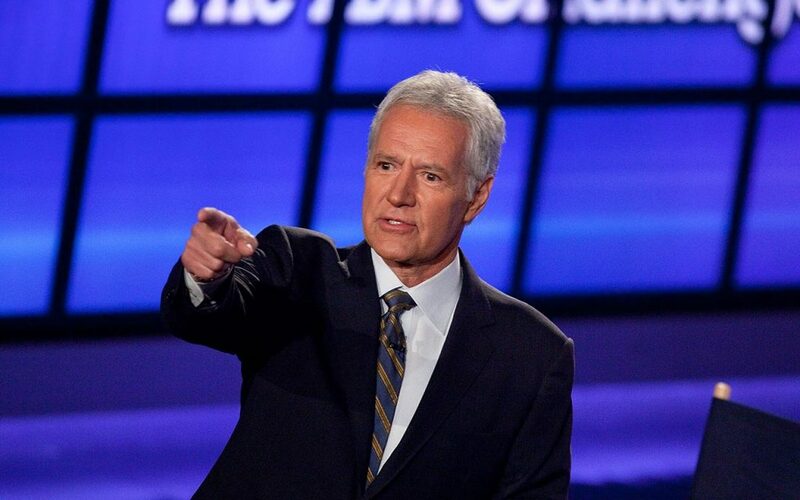 “Alex Trebek: ‘Being a master sergeant must be hard for a woman because you have to give orders all the time.’ That sexism isn’t even subtle,” another person tweeted. That’s because it’s not sexism. He’s getting to know a contestant – give it a freaking break already. Of course we had to insert “current year” into the argument. Not even current year, but the “tail end” of the current year because every day we just keep getting more progressive. So progressive. I can’t believe how this one little thing brought out the moonbats en force. Impressive. For the record, I don’t consider Trebek’s question sexist. But the line of questioning was ripped as “sexist” by social media users and tabloids TMZ and the Daily Mail. I just have one question for all of these people… what’s wrong with you? Is your life so pitiful you have to look for offense in every little thing you come across? Do you figure you’ll get attention with righteous indignation? Were you dropped on your head as a child? This is the epitome of stupid. There are currently 1,265 female Master Sergeants in the U.S. Army and I’m just betting that pretty much none of them would have taken offense over that line of questioning. They would leave that up to the snowflakes of the world and there seem to be a lot of them. Women in the military face real harassment at times, but a question like this is not that. Get a grip. What do you think of the situation? Did he take it too far? Or is this a big nothing burger, like the Russia allegations? I’m going for the nothing burger here. In fact, I now have a craving to watch Jeopardy. Damn you Alex! !